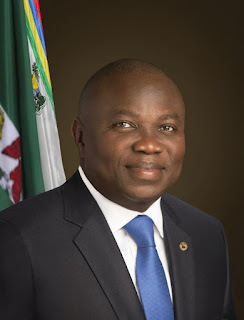 There has been a massive shake-up in the Lagos State Government as Governor Akinwunmi Ambode dissolved all Boards of parastatals and agencies, sacking the sister of the former Governor of Lagos State, Ms Olayinka Fashola and 75 other heads of the parastatals and agencies. Ms Fashola was the General Manager, Lagos State Residents Registration Agency, LASRRA. Also affected is the General Manager, Lagos State Waste Management Agency, LAWMA, whose head was Ola Oresanya; Lagos State Emergency Management Agency, LASEMA, Dr. Femi Oke-Osanyintolu; Executive Chairman, Lagos State Christian Pilgrims Welfare Board, Bolajoko Fashola and the Lagos State Traffic Management Agency, LASTMA, headed by Babatunde Edu. Also sacked are the General Managers of Lagos State Electricity Board, Ms Damilola Ogunbiyi; Urban Furniture and Regulatory Unit, UFRU, Joe Igbokwe; Lagos Water Cooperation, Shayo Holloway; Lagos Internal Revenue Service, Tunde Fowler; Lagos State Building Control Agency, LABCA; Managing Director, LAGBUS Assets Management, Babatunde Disu and the General Manager, Lagos State Lotteries Board, Lanre Gbajabiamila. Other head of agencies affected are the Lagos State Waterways Authority, Lagos State Building Investment Company Limited, Lagos State Ferry Services, Lagos State Records and Archives Bureau, Lagos State Printing Cooperation, Lagos State Television, Lagos State Traffic Radio, Eko FM, Radio Lagos, among others. In a statement issued by the Office of the Secretary to the State Government, SSG, Tunji Bello, it said Ambode had approved the dissolution of all boards of parastatals and agencies of government with immediate effects. According to the statement, the dissolution is with the exception of the Civil Service Commission, Judicial Service Commission and the State Independent Electoral Commission. While expressing the appreciation of the Governor for the modest contribution of members of the dissolved Boards, Bello wished them well in their future endeavour. The statement added that constitution of new Boards would be effected in due course.